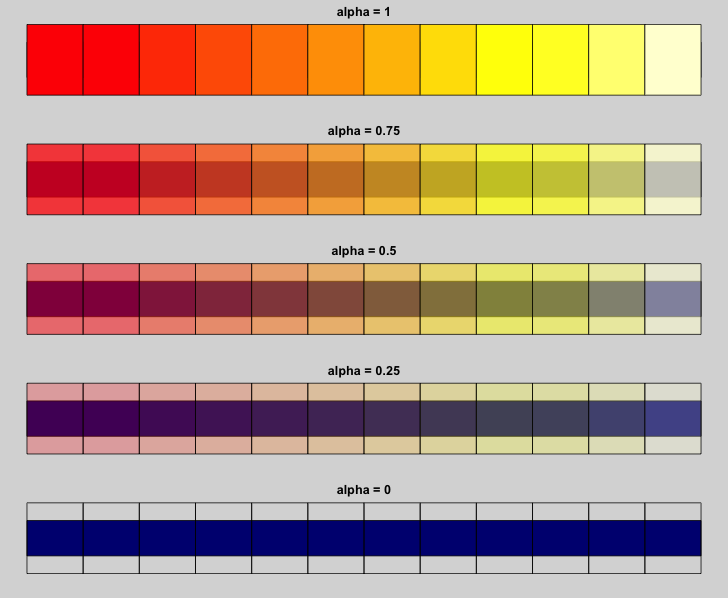 Heat colors in R utilize basic color ramp functions. Simple example scripts with basic control options follow. 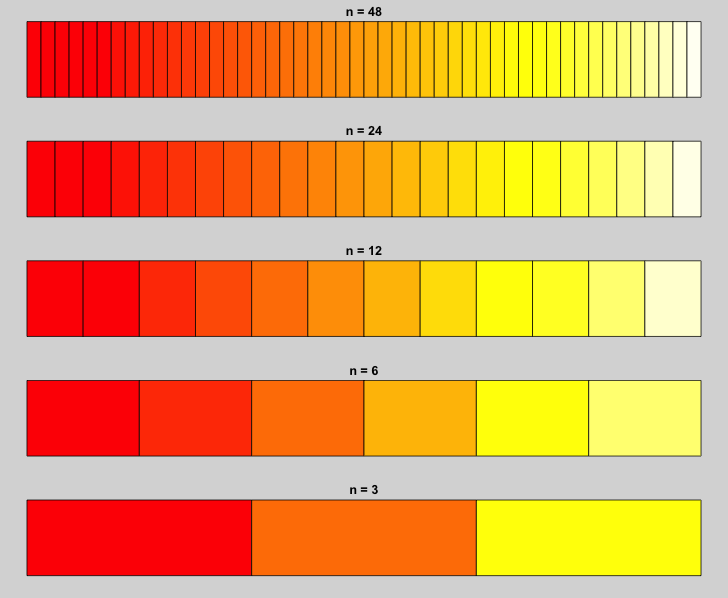 The heat.colors() function creates a ramp of contiguous colors clustered around the color orange in the red spectrum of the RGB scale. The function has the form heat.colors(num_colors, alpha=value). Heat color transparency is controlled with the optional alpha argument. The default value is alpha=1.